This is a reminder to architects, urban planners and citizens of how the design of authentic social places in downtowns reflects and cultivates communities all over the globe, every day. Based on the theory of urban sociologist Ray Oldenburg, Third Places offer a neutral ground for contemporary citizens to balance the demanding domestic (home) and gainful (work) realms of life. Numerous examples of Third Places exist in cultures and cities: cafés, barbershops, laundromats, delis, pubs, gyms and billiard halls. The concept focuses on the benefits of community-university partnerships aimed at revitalizing declining downtowns and using Third Places to encourage social growth. The dissertation proposed three designs for a Town-Gown (community-university partnership) Third Place located in the site-specific context of a downtown embracing a university satellite campus. 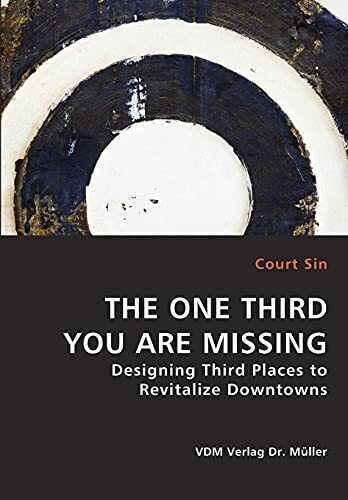 Supplemented by thoughts from Ray Oldenburg and international architect Will Alsop, the theory encourage us to reflect on the importance of social and cultural Third Place designs in the context of North American downtown revitalization.